When did hats become a fashion statement for women? 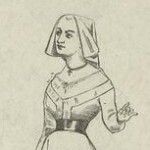 From the beginning of hat-wearing history, women were expected to have their heads covered by veils, kerchiefs, hoods, caps and wimples, but it was not until the end of the 16th century that structured hats were worn. The styles were based on the hats worn by the male aristocracy. 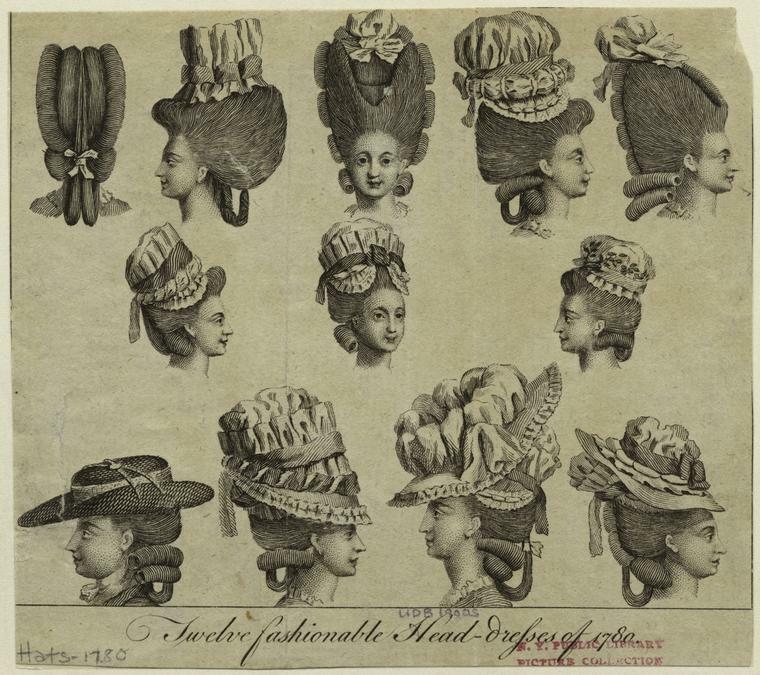 In the late 17th century, women’s hat fashions finally came into their own. Just as hemlines have gone up and down, hat sizes have fluctuated between large and small. 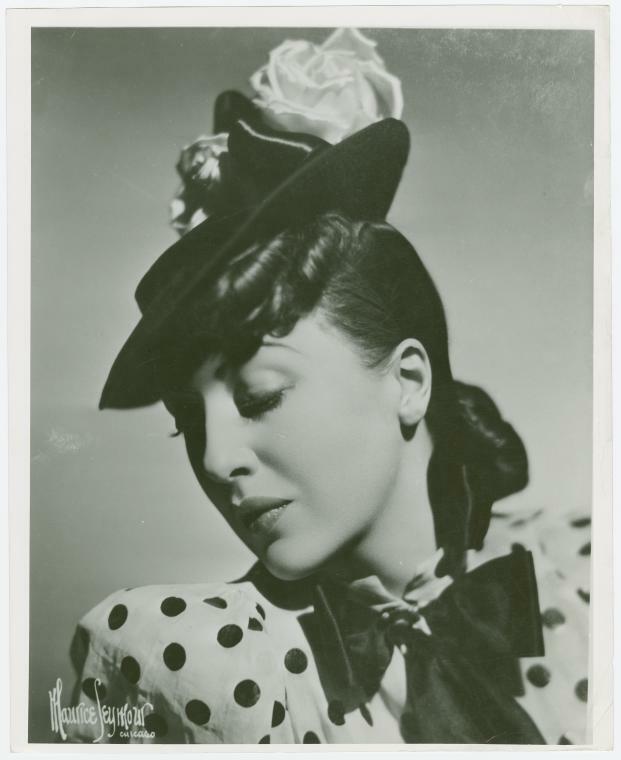 Hats have influenced how hair was cut and styled… and hairstyles have influenced what kinds of hats were worn. 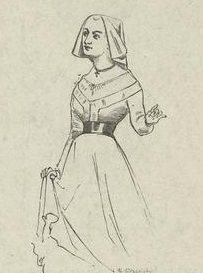 In the 1830s, women liked big hair with lots of loops and knots. They wore bonnets withA?large crowns so the hair could fit underneath. 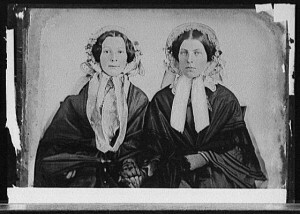 The bonnets were often adorned with feathers, lace, artificial flowers, or some kind of fruit or vegetable. During the Civil War era bonnets were still popular, but hairstyles were less elaborate and hats were more demure. 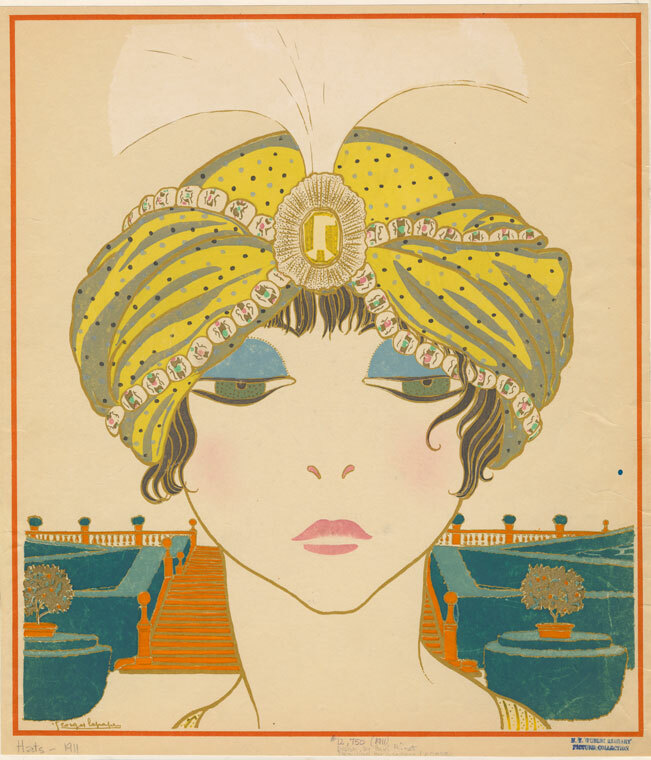 By the turn of the century, popular culture influenced styles more than ever. Broadway shows like The Merry Widow made the Gainsborough style — re-dubbed the a? ?Merry Widowa?? hat — all the rage. These wide-brimmed hats were elaborately adorned with flowers, ribbons, tulle, feathers, and even entire birds. 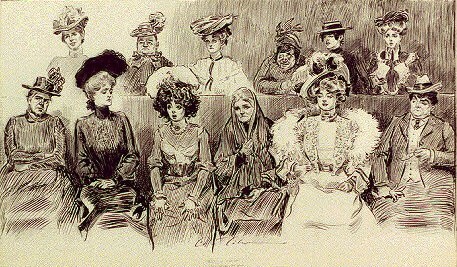 Charles Dana Gibsona? ?s illustrations for books, magazines and advertisements came to define how the a??ideala?? woman should look. a? ?Gibson Girlsa?? often wore their hair swept up off the forehead in a pompadour, reminiscent of Marie Antoinette, which would be built high using added hairpieces of puffs and curls. Many hatpins were required. 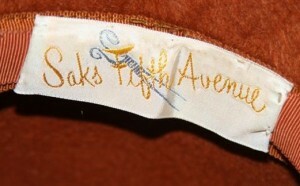 Historically, the most highly regarded milliners were based in Paris. In the 1910s, designer Paul Poiret disapproved of large hats and endorsed a sleeker look. 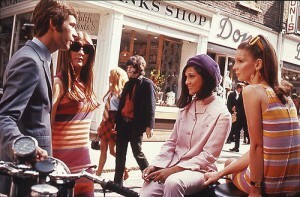 His influence helped make turbans and toques, which didna? ?t have brims, the era’s hat style of choice. By the 1920s women were cutting off their long locks for short styles like the shingle and the bob. The cloche, a small hat that hugged the head like a helmet, became very popular. 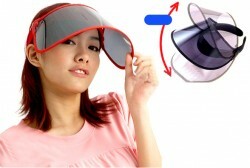 If you wanted to wear one, you needed to have your hair bobbed so it would fit inside. From the 1930’s to the 1950’s New York was the world’s leading millinery city. 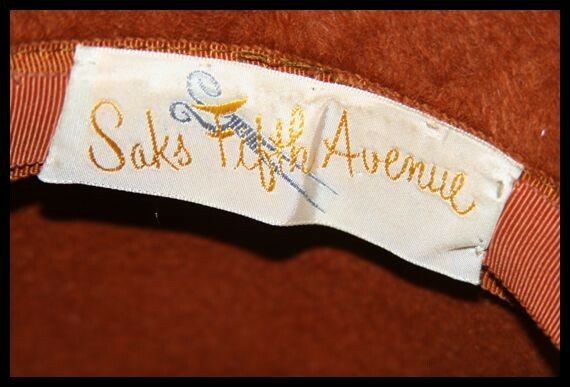 Department stores such as Saks Fifth Avenue, Henri Bendel and Bergdorf Goodman made their own hats. And a workforce of immigrant workers, bolstered by a strong union, helped business in the garment district boom. After World War II, women began to stop wearing hats on a regular basis. 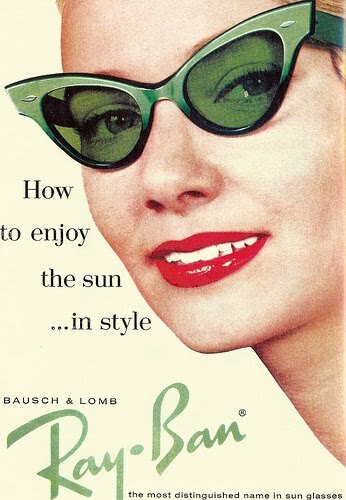 The mass-marketing of sunglasses may have had something to do with this. 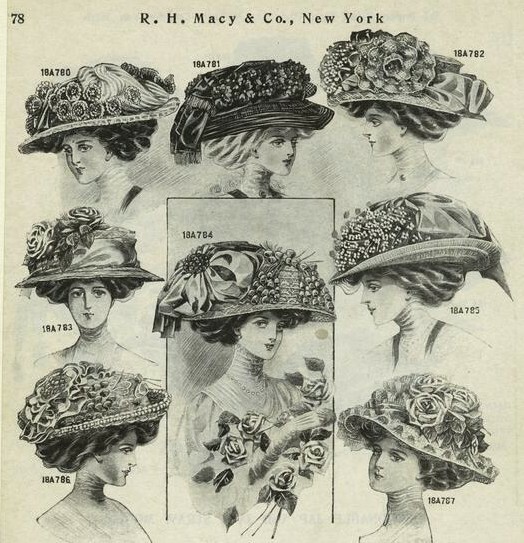 The industry tried to convince people hats were still an essential accessory. Designers tried to keep people interested by coming up with a variety of extravagant styles, though hats tended to be small and close to the head. In the 1960’s hats began to be a thing of the past. Youth was a??ina?? and old age was a??out.a?? Culture was geared more toward newness rather than tradition. Social etiquette didna? ?t matter so much. Both men and women dressed less formally. The quality and style of a wearera? ?s hat had always been a conspicuous indicator of his or her class. Now, the flaunting of upper class privilege, or making class distinctions in general, was not so cool anymore. Come the 1970s, hats were pretty much over. 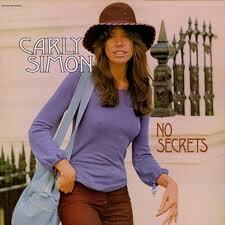 Though I do remember this album cover with Carly Simon and my older sister wearing the same kind of sloppy hat. Knit hats are still used in winter months. And their health benefits as protection from the sun’s ultraviolet rays and a shrinking ozone layer have been newly appreciated. But I don’t know if any of that’s going to do much to set style trends. Apart from the ubiquitous baseball cap, hats have practically disappeared as a fashion-statement accessory.